One Word from Sophia by Jim Averbeck and Yasmeen Ismail (2015). This book has a wonderful, sophisticated group of family members. It has loose, lively illustrations (aren’t they lovely?). And it has Sophia, who wants a giraffe for a pet. Each family member’s occupation comes into play with how Sophia tries to convince them about the giraffe. Each gives her rhetorical advice that boils down to: use fewer words. It’s so much fun to see Sophia make charts and graphs and poll her stuffed animals. Sophia is determined. Sophia is smart. Sophia is creative. We as readers have a feeling Sophia will come out all right in the end. I rarely give away the exact ending of a book, but I just have to here. So, spoiler alert, Sophia gets a giraffe. I love that! In a book so rooted in exactness and elocution and making realistic arguments, Sophia ends up with a yellow, brown-spotted, very tall pet of her own. Of course she does. She said that one word from the title. This is the perfect book if you want challenging vocabulary. If you want to craft compelling arguments. If you want [insert true desire here]. Meaghan over at The Decorated Cookie is a whiz at making delightful food crafts. So when she agreed to make a real life marshmallow giraffe just like Sophia’s, I was thrilled! You can see the whole tutorial over at The Decorated Cookie. And while you’re there, check out some of her recent creations like mini donut candy pops, birthday cake on a stick, and marshmallow cat faces! And she’s got a book too: Sugarlicious! Big thanks to Meaghan for collaborating with me over our shared love of picture books and adorable, kid-friendly crafts! Also, marshmallows! 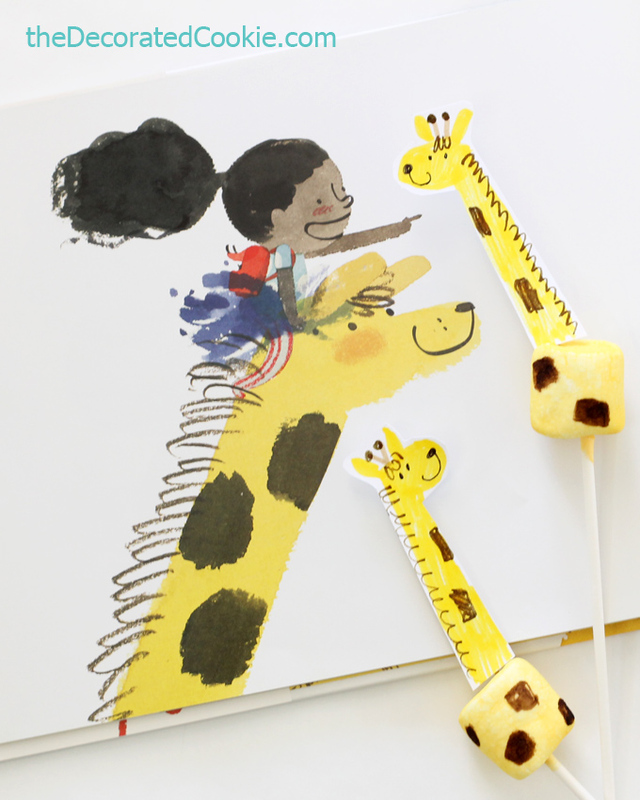 read the book, make marshmallow giraffes! One word about the book- LOVE! 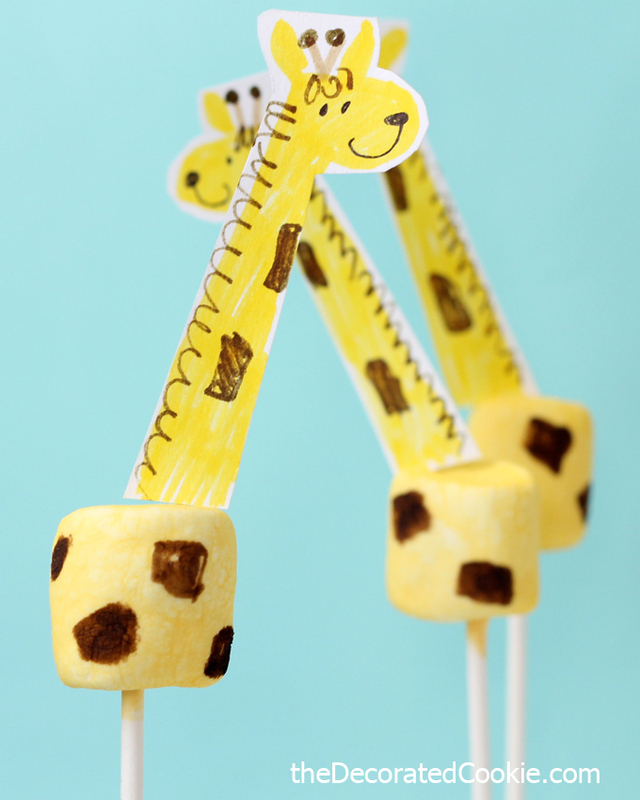 And the marshmallow giraffe is absolutely adorable! (That’s two words in case you are counting). I just read and LOVED this book, both the text and the art. 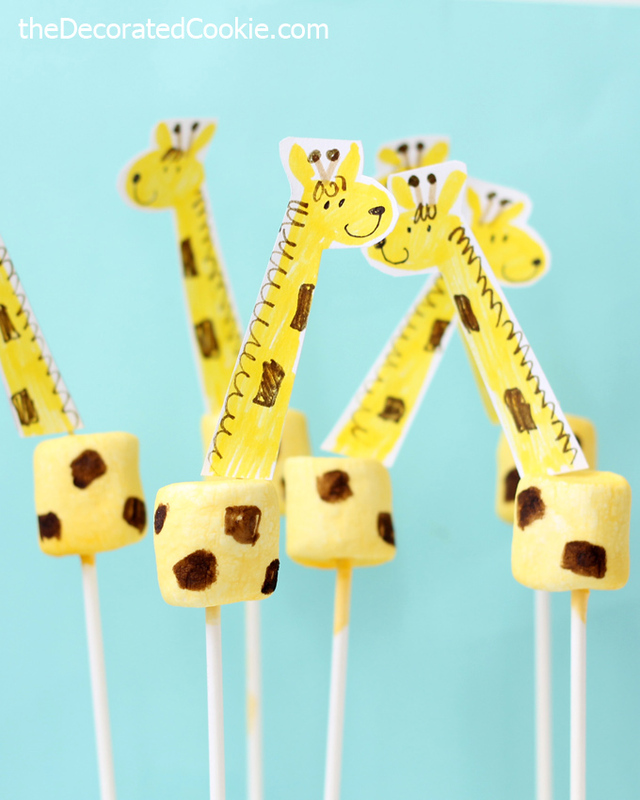 It’s very funny & sweet–so are those giraffes! Thanks, Danielle :)! I love that book but haven’t read it in a long time. Might be a nice pairing! Who wouldn’t want a giraffe for a pet! Love the sound of this Danielle! Thanks!